This is Laura and Danny. They’ve been together for almost 5 years now. Laura and Danny are both teachers and first met when Laura was covering someone’s maternity leave at the school Danny teaches at. 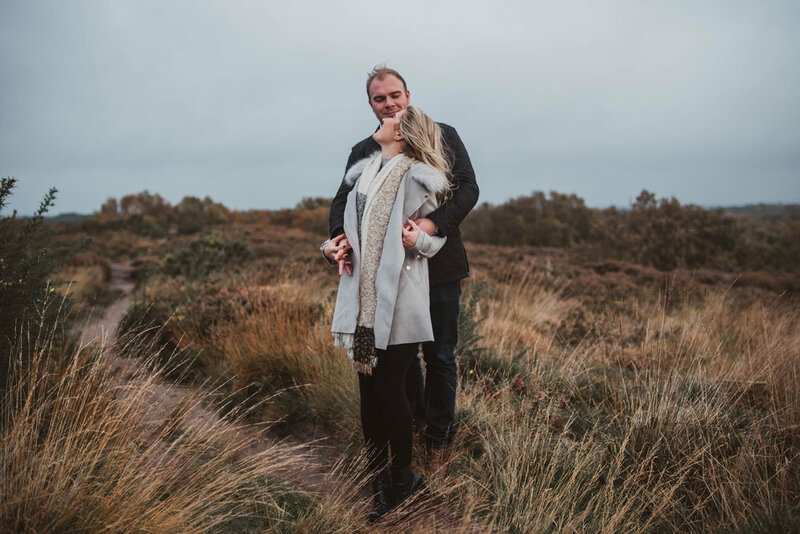 We met a few weeks ago at Thurstaston Common by Thors Rock on the Wirral for an engagement shoot. You can see for miles up there and it’s beautiful but especially with the autumnal colours surrounding us but oh my word –the photos are just gorgeous and could be straight out of the pages of a catalogue. 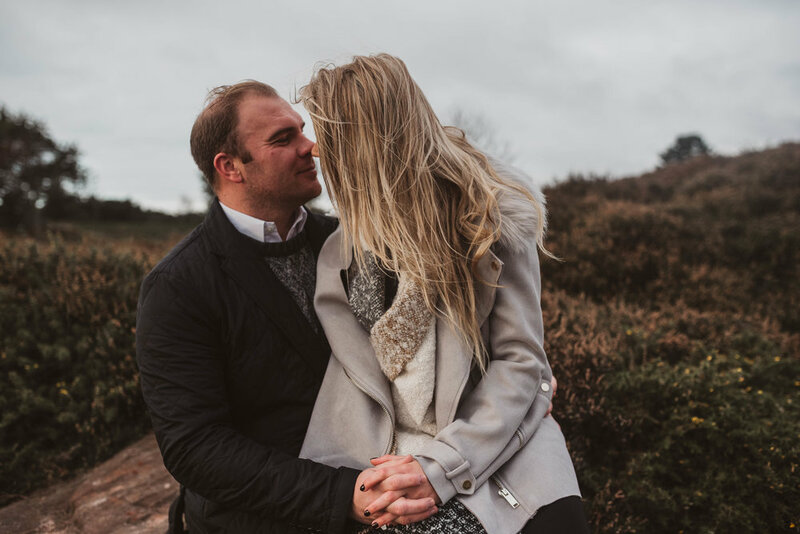 Laura and Danny got engaged at The Red Fox on the Wirral (one of my favourite restaurants!) 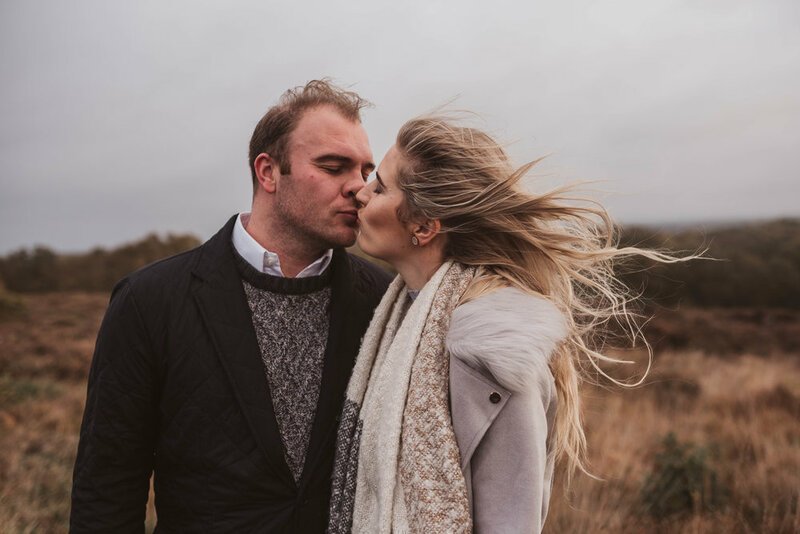 and have planned their wedding for next August, which they’ve asked me to photograph as well and I can’t wait!!! 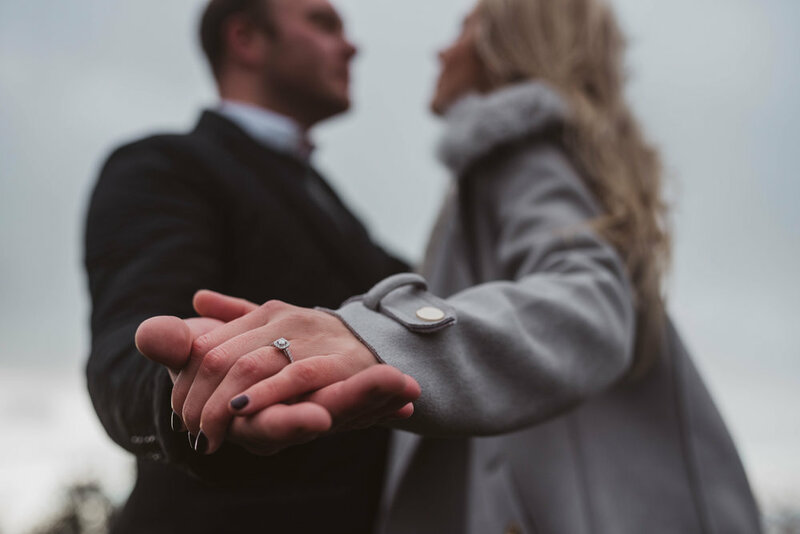 The engagement was a total surprise to Laura but Danny had asked Laura’s dad’s permission beforehand, which was so cute. Rob asked my dad before proposing to me and I loved that he did that. It may be an old tradition but I think it’s really sweet. I think these days, you’re not really asking permission - nobody needs permission from anybody else to propose to the person they love , it’s more just a nice little moment between the two, with the future groom informing his future father in law of his exciting plans. I love the un-traditional and when things are done differently but there are some wedding traditions that make me go “awwwwwwwwwwww”. That’s one of them.